The Chevy Blazer S10 and GMC Jimmy are actually the same vehicle produced by GM under different brands. Both sales were strong and lead to major upgrades in the late 80s for both models. The most recognized upgrade was the 4.3L V6 engine over the diesel engines and 2.5L gas engines. The 4×4 capability was unmatched in the Blazer for a small-size SUV. You can buy Chevy Blazer S10 engines from us for way less than you can elsewhere on the Internet. Our prices are just right for what you are getting. A remanufactured Chevy engine can do a lot for your Blazer. This means you won’t have to waste time fixing up a used engine. If you have never purchased a reman V6 engine in the past, it is helpful if you know what the term means before you put out any money. 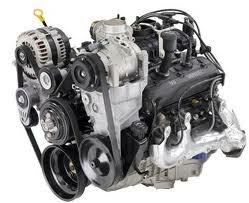 There are used engines sold and there are remanufactured or rebuilt engines. What we sell are remanufactured engines. Our process is buying up used engines that are all in great shape from dealers that we know can provide us with genuine GM engines for sale. We schedule these engines for delivery inside of our warehouse and they are brought in safely for our Chevy mechanics to inspect. The rebuilding process begins and deteriorated parts are taken off and new OEM components are used. We then test our work. We perform what is called dyno testing for every Chevy motor in stock. A dynamometer device is a computer controlled testing procedure that helps verify compression and other important aspects of an operating engine. Without this thorough testing, there would be no visual way to locate problems like leaking or internal part failures. Our trained staff of Chevy mechanics are the ones that perform all of our inspection and testing procedures using our dynamometer equipment. If we find anything that is wrong with an engine, we stop and fix it immediately to eliminate any interruptions after you install it. This is our definition of how the remanufactured engines business should be. We put expert work into our Chevy Blazer S10 engines and we price them low to reduce the burden of paying for an engine replacement. We end up with a product that is comparable to the same type of 4.3L engines that are sold in Chevy dealerships for about 10 times our selling price. Buying a used engine does not allow you to put another 100,000 miles on the odometer. Purchasing a reman GM engine that is built correctly, cleaned and readied for sale like our engines certainly will. Our engines are sold daily around the world and we are most likely the largest remanufactured engines for sale dealer selling online. Getting our lowest price is easy here at www.remanufacturedengines.co. Take a minute of your time and call 1-877-630-3873. One of our helpful staff will instantly give you the lowest S10 price currently in our database. You can even get the same price by completing our Chevy Blazer S10 quote form on this website. It will be one of the easiest things you’ve ever done and it will save you thousands of dollars.